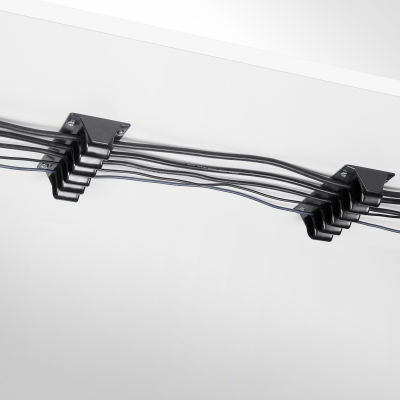 Cable waves are mounted underneath a desktop with 4 parker screws (not included) and have room for several cables. 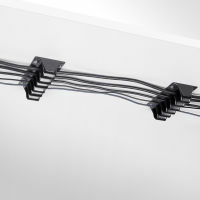 Cables are simply pushed between the clamping elements which hold the cables neatly in place. Suitable for practically every type of cable.